My husband and I just returned from a beautiful holiday in Hawaii where we toured around Oahu for a couple of days and then flew to Maui to live in a beach house shared with 2 other couples for 10 days. It could not have been a more perfect holiday; with ideal weather, vistas to fill every sense, excursions to expand our knowledge and our athletic skills and good friends to laugh and share it all with. We certainly made some plans for the top activities we wanted to experience and the rest of the time we allowed the day to unfold by tuning into what felt good. I chose to be completely “off” of work mode and completely “on” enjoying the time with my husband and friends. 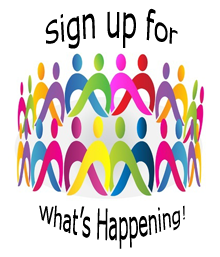 I arrived back on Friday and still had no idea what I wanted to share next in my blog. As I was catching up on the inbox…I came across this wonderful article in a Hay House e-mail about 10 ways to live happy and was reminded how much I enjoyed Lissa’s book. Enough so, that I have given it to clients and friends this year. It is a perfect segway for keeping a little Island feel inside as I live each day! Stamatis Moraitis was a WWII veteran from Greece who came to the U.S. to get treatment for his arm that was mangled in combat. He wound up settling in Boynton Beach, Florida where he married a Greek-American woman, had three children, had a good job in manual labor, bought a three-bedroom house and a 1951 Chevrolet. When he was in his sixties, he was feeling short of breath at work, so he went to the doctor. The news wasn’t good. He was told he had cancer and was given nine months to live. But Stamatis didn’t like that answer, so he went to eight other doctors to confirm the diagnosis. And they all concurred. He had nine months to live. They offered to give him aggressive treatment that might extend his life a bit, but they told him his cancer was incurable. Stamatis decided that if he was going to die, he didn’t want to spend all of his money on the treatments, but would rather save it for his wife and children. So he and his wife decided to move back to the little Greek Island Ikaria, where Stamatis grew up. When he moved back in with his parents, Stamatis wasn’t feeling very well. But word got out that he had come back home after all these years. Soon, many of his family members and friends started coming to visit him, bringing food and wine and games. Stamatis figured he might as well die happy…so he drank wine with them every night and played games. Six months came and went and Stamatis was feeling better. So he decided to plant a garden. He figured he wouldn’t be around to harvest the crops. But he thought it would be nice for his wife to have vegetables from this garden. So they both started eating this homegrown food. He was also living near a vineyard that nobody was taking care of, so he started tending the grapes and making wine. He had a new found purpose and he even started building a business in winemaking and exporting. He also reconnected with his church that he walked to each week. Today, Stamatis is 98 years old. He’s cancer-free and he never went through chemotherapy, took drugs or sought any other treatment. He just moved home to Ikaria. But that’s not the end of the story. About 25 years after his original diagnosis, Stamatis decided to go back to the U.S. and find those nine doctors who gave him only nine months to live. But he never did get to show them how well he had been doing. That’s because all nine doctors had died. Lissa shares this story in her Heal Yourself: Mind Over Medicine special because she says that Stamatis could be any one of us. We can experience an unexpected remission. Our health conditions could disappear. What happened to Stamatis isn’t a fluke. 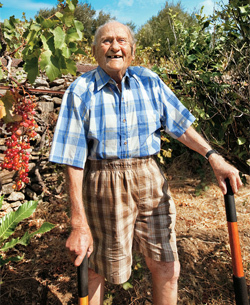 There is a scientific reason why Stamatis is very healthy at 98 years old. Lissa also says that you don’t have to wait to get a scary diagnosis to write your own prescription for your health. You can make it a daily practice starting now and asking yourself: What does my body need to heal? 10 Ways You Can Live Happily for 100 Years and More! I can subscribe to this formula very easily. I’d love your feedback. Don’t forget to leave a link back to your own blog too if you have one, via the commentluv feature here on the site. So in the spirit of Aloha – I wish you moments until we connect again. In fact – that reminds me of another lesson learned in Hawaii. Tune in next to learn more about the “Spirit of Aloha”. Landed safely in Chiang Mai, Thailand and am here for the winter. I totally concur with what you are speaking about and have now moved out of my house in Calgary and stored all my belongings in 150 sq. ft. I’m free to do as I wish and “have light will travel” as my slogan. Let’s see if we can connect via Skype sometime. What an inspiring story. Just goes to show the power of the spirit! Hey Karen – so great isn’t it! We have no idea what we are made of until we really test ourselves. Namaste my friend! Mahalo! What a lovely story. Very inspirational. Hi Wendy – thanks for taking the time to read it and glad that it connected for you. one of our longevity remedies is definitely singing wouldn’t you say? May the snowfall in Ottawa be an enjoyable and not stressful experience! Mahalo. Karen, what a beautiful story of life as we can live it. 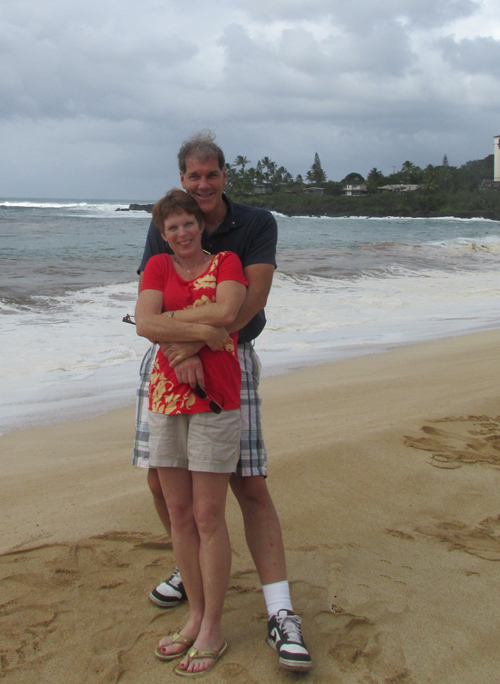 So happy to hear of your Hawaii journey – we’re in for a long cold week and a bucket of snow in Calgary. Let me be as happy in this as Hawaii or Thailand. Oh yes Jacqie – may you be happy happy in your blanket of snow until the next chinook!! I think of you often so let me know if you have skype set up! I’m dreaming of a White Christmas..lalala! I’m singing to you…..xo.